I haven’t played the Inspiration Challenge over at Splitcoast for a while. Our inspiration comes from Bella Soleil. I was drawn to some beautiful Wall Panels . Each of my panels started out as a heavy weight white card stock square. First they were inked in Encore Gold Metallic and clear embossed. Next came different colors of Distress Stains, followed by splotches of water. 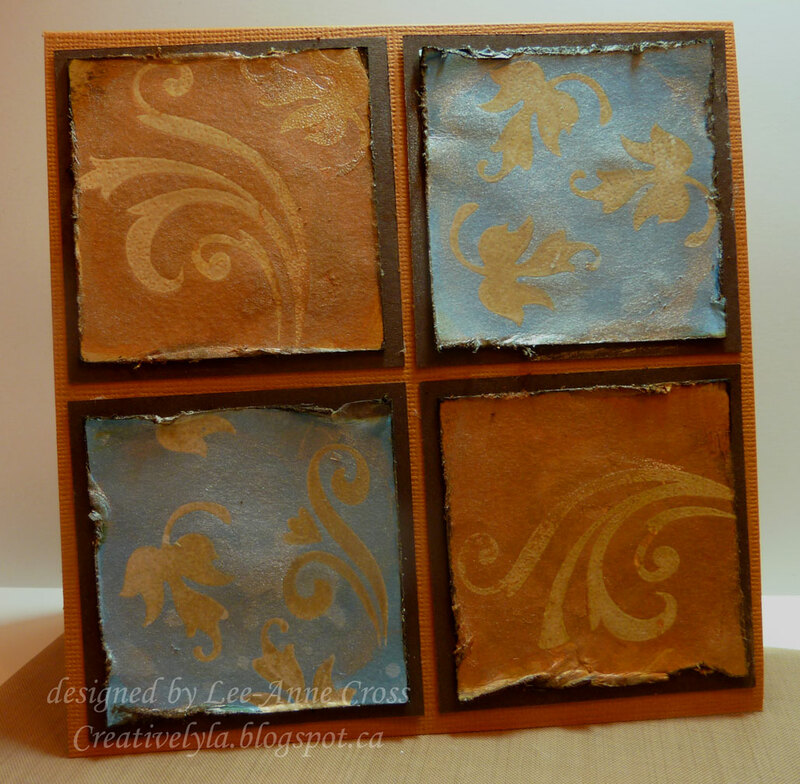 For a little bling the rust colored panels were inked with Antiqued Bronze Distress Stain and the blue colored panels inked with Brushed Pewter Distress Stain. Then each square was distressed and inked around the edges and matted on dark brown card stock. Love the effect you got here!! I love the patina, vintage look you got. Great technique!! I will have to try this. Absolutely awesome technique, Lee-Anne. I want to try this some time. Thanks for sharing your gorgeous creation!